Have you got your tickets yet?! Because they’re going fast!!! Musical Madness is the must see variety show for all ages and Musical Theatre lovers! The unique show is made up of a medley of musical numbers and acts from all your favourite musicals ranging from old to new! Last year we saw adaptations of ‘Lion King’, ‘Matilda’, ‘Oliver’, ‘Hair Spray’, ‘The Greatest Showman’ and many more! 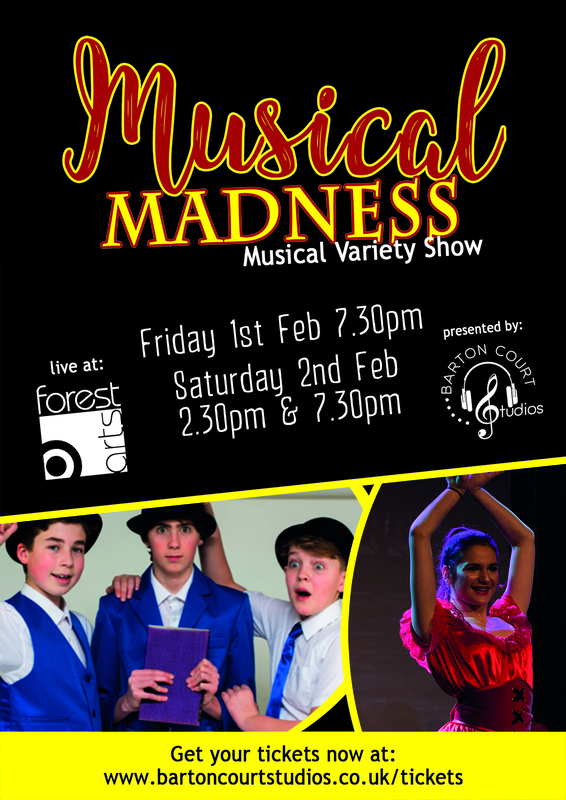 Our next Musical Madness will be taking place at The Forest Arts Centre on February 1st & 2nd. Next Musical Madness – SMASH HIT! Previous Christmas showcase Lineup Announced!